Black History Month is celebrated every February in the United States. 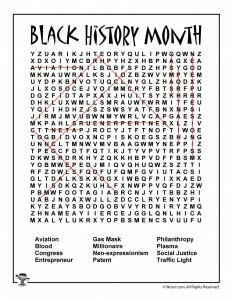 During this month we celebrate the achievements of African American in all aspects of life – science, technology, entertainment, art, social justice – you name it, African Americans have done it. 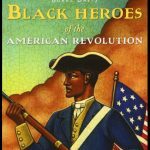 It is often asked why celebrate Black History month? Well, frequently the achievements of black Americans are left out of history books. The recent #1 movie and book Hidden Figures illustrates this. 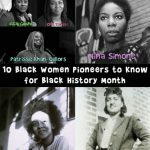 The story is about black women who worked at NASA who were instrumental in getting men on the moon for the first time. But prior to this movie, released in 2017, their story was known by very few people. 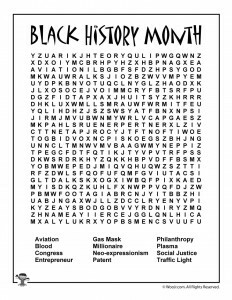 Black History Month can easily be expanded into a year! 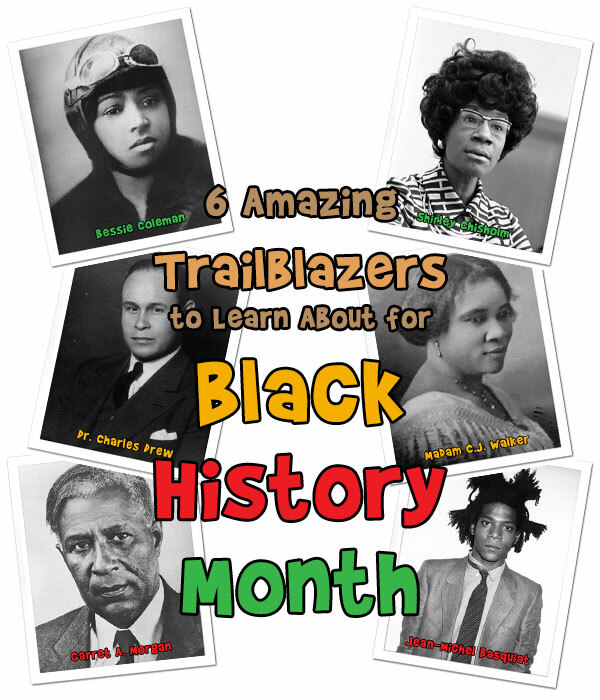 Here are 6 amazing trailblazers in black history to learn more about this month. 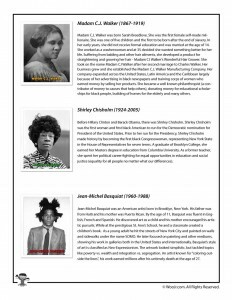 Here are the biographies in both printable and online formats. 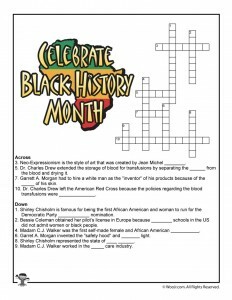 We’ve also included a word search, crossword puzzle, and review quiz based on the bios of these 6 people. 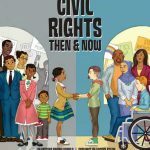 Below there are also classroom activity suggestions for Social Studies, Science, and Art. 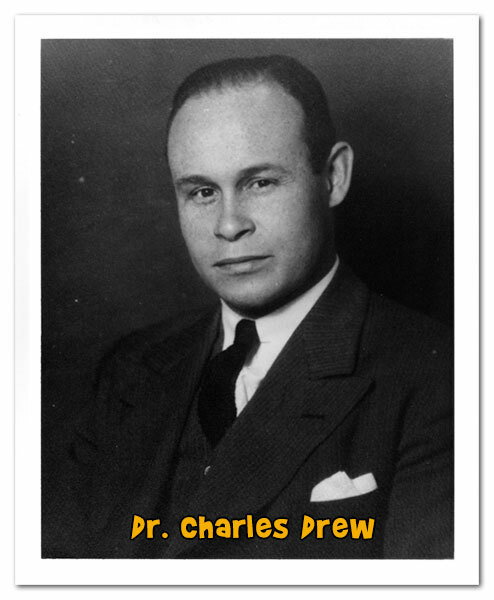 Dr, Charles Drew was a medical doctor and scientist. He was very interested in solving the problem of storing and using blood for transfusions (a transfusion is done when a person is hurt or ill and needs blood restored in their body). He developed a process for removing plasma (blood without cells) from blood. Plasma can be stored much longer than whole blood. He is credited with heading two blood banks – The American Red Cross and Blood for Britain. Blood for Britain provided blood for soldiers injured in World War II. He did not stay with the American Red Cross for long because they had discriminatory practices. Initially they did not want to accept blood from African Americans and later only wanted to use their blood for other African Americans. Bessie Coleman was the first African-American woman pilot. She had humble beginnings. Her father was a sharecropper (one who pays living expenses by farming on land owned by someone else) in Texas and she was a one of 13 children. She walked four miles every day to school. As an adult, Bessie became interested in aviation (flying) after hearing stories from World War I veterans. 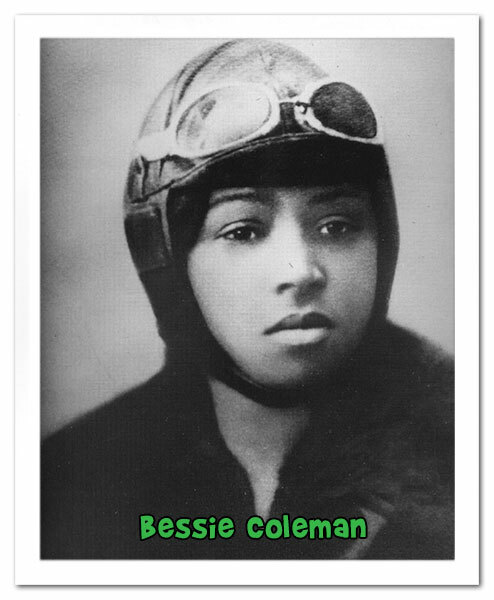 Aviation schools in the United States would not admit women or black people so Bessie studied and earned her pilot’s license in Europe. When she returned, she was known as Queen Bessie and earned a living by doing air acrobatics. She died at the age of 34, doing the thing she loved most – flying. 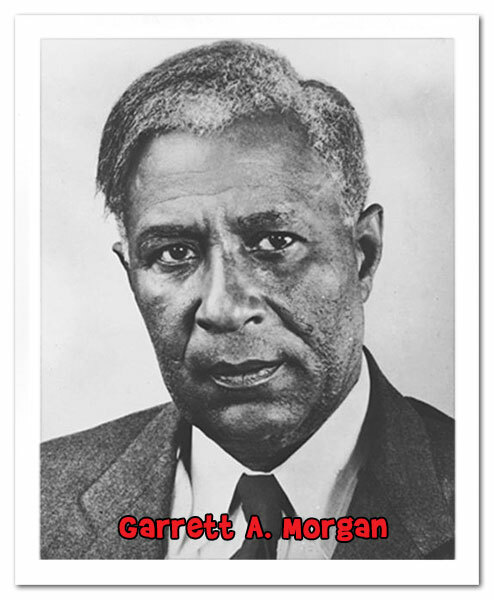 Garrett A. Morgan was an inventor who received patents for many of his inventions (a patent is a license that allowed him to be the sole manufacturer of a product). He only obtained an elementary school education but that did not stop him from becoming a success. He was interested in machinery and while working in a factory for sewing machines, he improved the design and received a patent for his invention. He achieved his biggest success from inventing a hair straightening product for African Americans and formed the GA Morgan Hair Refining Company. He went on to invent the traffic light and the ‘safety hood’ – a early model gas mask used to protect the wearer from inhaling smoke or deadly gases. As a result of discrimination against him as a black inventor, he had to hire a white actor to pose as the inventor during demonstrations to sell his safety hood. Madam C.J. Walker was born Sarah Breedlove. She was the first female self-made millionaire. She was one of five children and the first to be born after the end of slavery. In her early years, she did not receive formal education and was married at the age of 14. She worked as a washerwoman and at 35 decided she wanted something better for her life. Suffering from balding and other hair ailments, she developed a product for straightening and growing her hair – Madam CJ Walker’s Wonderful Hair Grower. 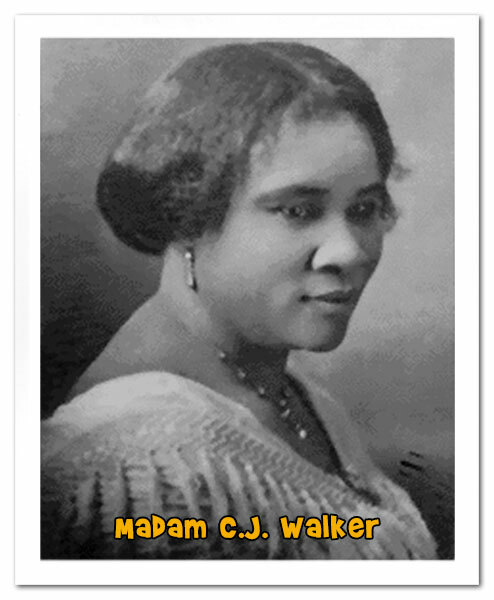 She took on the name Madam CJ Walker after her second marriage to Charles Walker. Her business grew and she established the Madam C.J. Walker Manufacturing Company. Her company expanded across the United States, Latin America and the Caribbean largely because of her advertising in black newspapers and training corps of women who earned money by selling her products. She became a well known philanthropist (a contributor of money to causes that help others), donating money for educational scholarships for black people, building of homes for the elderly and many others. Before Hillary Clinton and Barack Obama, there was Shirley Chisholm. Shirley Chisholm was the first woman and first black American to run for the Democratic nomination for President of the United States. 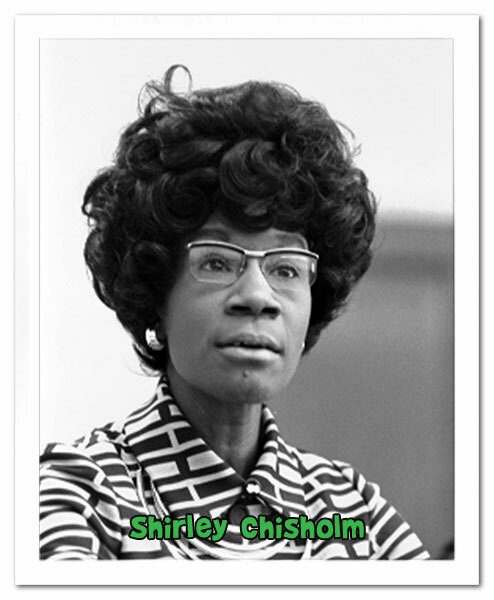 Prior to her run for the Presidency, Shirley Chisholm made history by becoming the first black Congresswoman, representing New York State in the House of Representatives for seven terms. A graduate of Brooklyn College, she earned her Masters degree in education from Columbia University. As a former teacher, she spent her political career fighting for equal opportunities in education and social justice (equality for all people no matter what our differences). 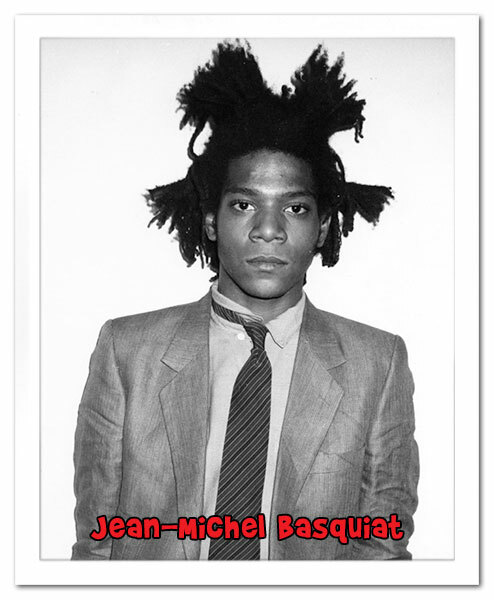 Jean-Michel Basquiat was an American artist born in Brooklyn, New York. His father was from Haiti and his mother was Puerto Rican. By the age of 11, Basquiat was fluent in English, French and Spanish. He discovered art as a child and his mother encouraged his artistic pursuits. While at the prestigious St. Ann’s School, he and a classmate created a children’s book. As a young adult he hit the streets of New York City and painted on walls and sidewalks under the name SOMO. He later focused on painting and other mediums, showing his work in galleries both in the United States and internationally. Basquiat’s style of art is classified as Neo-Expressionism. The artwork looked simplistic, but tackled important topics like poverty vs. wealth and integration vs. segregation. An artist known for “coloring outside the lines”, his work earned millions after his untimely death at the age of 27. Race relations: To help the class better understand how discrimination works, divide the class by eye color or clothing color (for example, all wearing blue jeans). Give one group candy or another treat simply because of the way they look or dress. Ask how they feel about the different treatment. 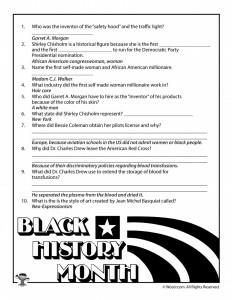 Then have a discussion about how some of these notable figures in black history had to work around discrimination because of the color of their skin to achieve their dreams. Social Justice: Each of the individuals highlighted broke barriers in their respective areas of expertise, in spite of being thought not capable of achievement because of the color of their skin. For this exercise give each student an orange and have them look at it and find marks, discoloration, etc., that will help them readily identify it. Place them all in a bowl, mix them up and have them find their orange. Have the students peel the oranges and put them back in the bowl. It should be difficult to differentiate between them. Discuss the concept of equality for all no matter our differences because ultimately, like the oranges, we are all the same on the inside. Biology: Blood is composed of plasma, platelets, white blood cells and red blood cells. 55% of blood is plasma, which mostly water and includes sugar, fat, and protein. It is yellow tinged and carries the platelets, white and red blood cells. Red blood cells make up 40-50% of blood and transports oxygen throughout the body. White cells are approximately 1% of blood, larger than red blood cells and fight infections. Platelets are also about .5% of blood and help with clotting when you are wounded. To illustrate blood to the class you’ll need 1 mason jar, marshmallows, red jellybeans, sprinkles and corn syrup. Fill the jar 55% full with corn syrup. Add 44% red jellybeans, a few marshmallows and a few sprinkles. 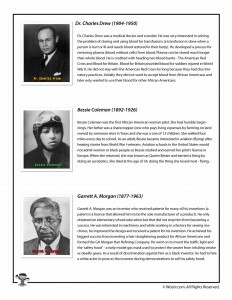 Inventions: Many of these individuals were inventors. Have the students brainstorm ideas for creating their own inventions. Provide the students with construction paper, pipe cleaners, popsicle sticks, yarn, scissors, tape, glue, etc., and have them create their inventions and share them with the class. 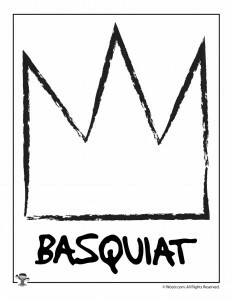 Decorate Crowns: The crown was an image prevalent in the work of Jean Michel Basquiat. Have the children create crowns to wear and/or draw different types of crowns. Alternatively, you can print out the crown template below. Have glitter, glue, gold foil, paint, etc. available for them to be creative. You can also do a classroom viewing of Basquiat, but since the movie is rated R, this is likely only appropriate for much older children with permission from their parents. Thank you very much for sharing this material. It was appreciated.